Elegant, sophisticated, stylish. 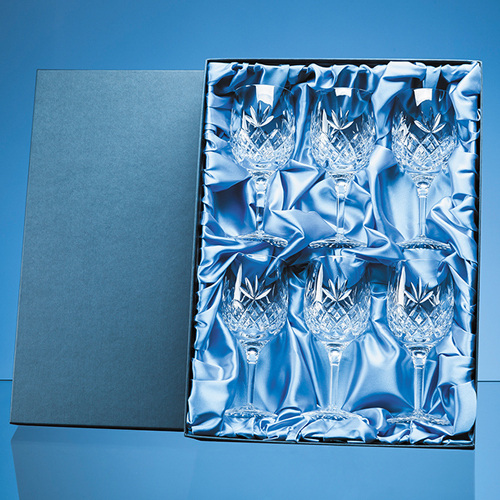 This 6 piece  Blenheim lead crystal gift set of 280ml long stemmed goblets is cut in a traditional diamond and wedge pattern and is the perfect gift to toast any occasion. The ideal size for a generous glass of white wine, it is off-set in a luxurious satin lined presentation box. The perfect choice for an award or any gifting occasion it fits perfectly with other pieces from the Blenheim collection.